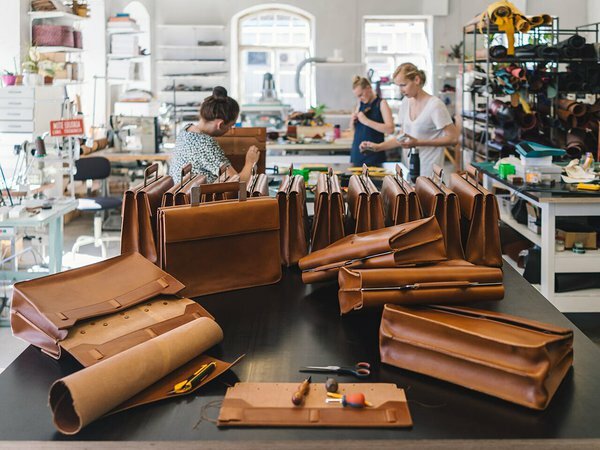 Stella has been crafting leather accessories for almost ten years by now. 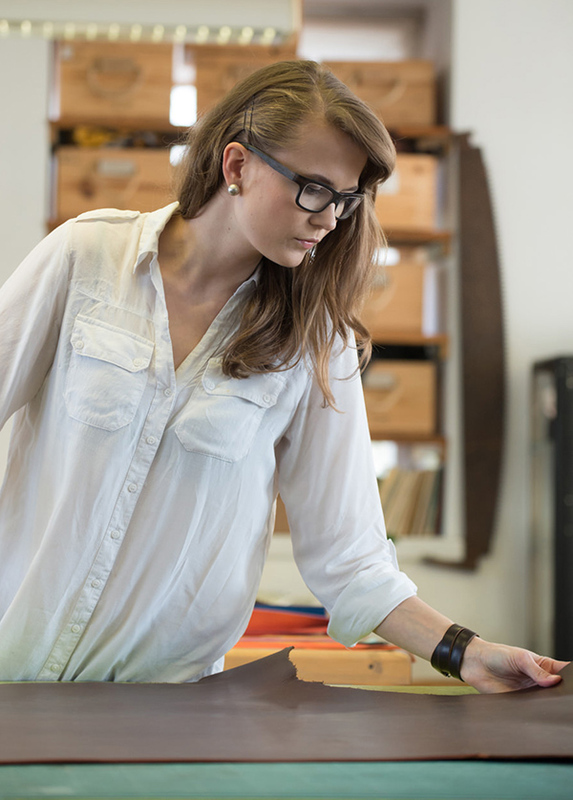 We asked her about the evolution of her design and her role as a creative entrepreneur. As she's running her website on Voog, we also wanted to know why she chose this platform. Before talking about your work as a designer, I wanted to briefly touch upon your studio's website since it has been running on Voog for almost ten years. How did you find us and why are you still on Voog? I created my first website on Voog back in 2008 as soon as you released the service. I used one of the standard design templates. For a while, it worked fine for me, but as I was evolving as a professional, I soon needed a more prominent site, that would fulfil my specific needs. I needed a good design but didn't have money for it. Fortunately, I reached an agreement with a designer and a coder that they would create the site in exchange for my custom made leather bags. When I changed my business model from tailoring custom-made designs to manufacturing product series I once again needed an entirely new website. I chose Voog once again because it makes managing website effortless, which is especially useful when you don't have any advanced IT knowledge. Also, every time I have an issue or problem, I receive answers quickly from Voog's friendly support team. Why do you need a website? How important is it for your business? I would say, that my website is crucial for conducting my business. It's my business card, sales tool and also a canvas for my portfolio. 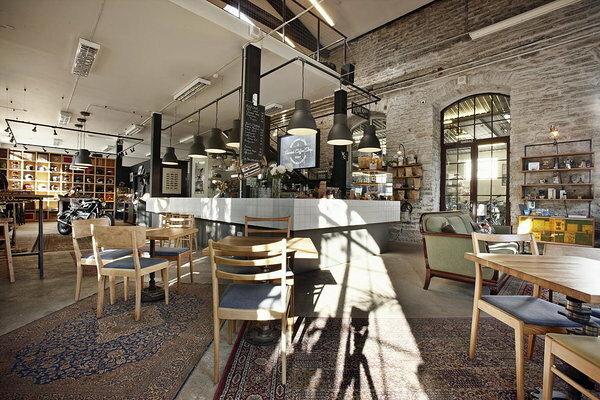 You recently moved to Depoo, one of the creative hubs of Tallinn. Alongside with it, you also opened a store and an art gallery in your studio. How is the concept working out? Moving was quite a feat because at the same time I also became a mother. Nevertheless, it has been the right move. The new layout of the studio works well — a person stepping into the store can also take a look at the production of the items. The gallery is an excellent addition to the studio. It adds another layer of quality that complements the general atmosphere and my products. The first exhibitions have been photography-related, but other mediums like painting and graphic art will also follow. There are lots of cool cafés in the neighbourhood. Which one is your favourite? I often go to Renard café. It has a relaxed atmosphere, friendly people, beautiful aesthetics and, of course, really good coffeé. If one cannot visit Tallinn soon enough, where can she or he see and buy your products? 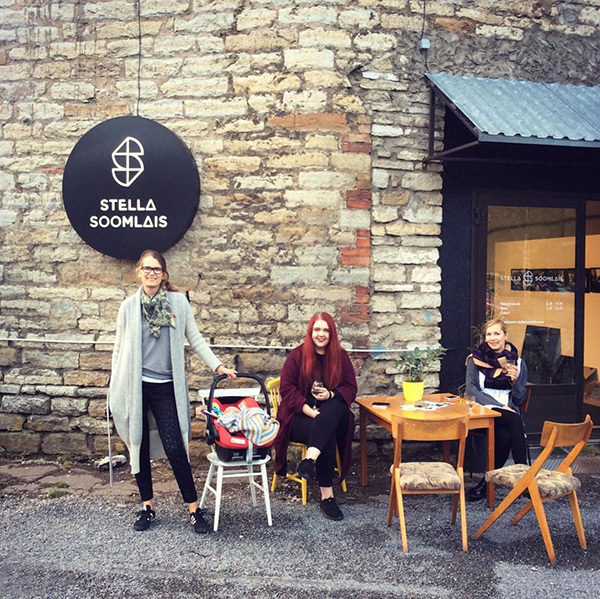 In addition to several resellers and design shops here in Estonia, you can find and purchase my products on my website — www.stellasoomlais.com. I have an impression from social media that your handbags are beloved travel companions. Where are the farthest places that they have been? What do you think where do your products hit the streets exceptionally well? My handbags and accessories have reached all continents. 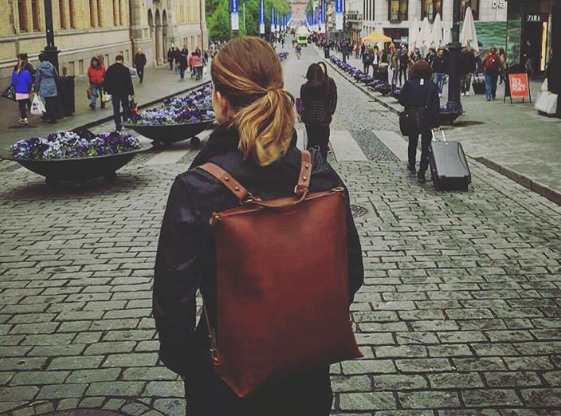 It seems that they suit exceptionally well on the streets of Nordic countries, where people appreciate minimalist design, recycling of resources and the aesthetics and qualities of leather as a material. You seem to be travelling quite a lot yourself. What is in it for you? Is it a way to take a break from your work or quite the opposite — a way to get inspired? I have quite a mobile lifestyle. For example, I travel a lot between my two homes, one in Tallinn, the other in Tartu. It's funny though because I don't like changes that much. I always want to stay where I currently am. On the other hand, when I'm travelling, I don't understand, why I don't do it even more often. Traveling helps me to take a fresh look at my everyday tasks. Traveling helps me open up my mind if I'm stuck and unravel the obstacles. It helps me to find new inspiration and new ideas for exciting experiments. How would you compare your current style to one of your early days as a professional? My designs have changed a lot! When I was a student at the Tartu Art College, I used lots of complicated technological processes. I liked contrasts and intense colours, and I added lots of details to my designs. In today's designs, I concentrate on maximising the usage of the materials. I try to create products that would be easy to take care of. It means that I pay a lot of attention to the beauty of pure leather. The structures are simple, and I attach the details with screws. I almost never use any features that do not have a function. How do you get inspiration for new products? What does it take for an early sketch to evolve into a highly polished design item? The new products are almost always born out of functional needs. For example, sometimes a client gives feedback about an existing product but adds a special request or recommendation for the future. When we have enough information, we'll have a brainstorming session with our team. We start drafting, and if necessary, we also do models. Usually, it is enough to alter an existing model or design, because our designs are constantly seeking answers to the same questions — we need to be able to disassemble the products easily, and therefore we are using specific technological methods. Have you ever had to withdraw a product from the production due to negative feedback about user experience? We have improved products based on feedback, but we've never had a reason to withdraw one. The feedback has helped to make some models more functional, and sometimes it has also decreased the cost of production or made taking care of the product easier. Currently, we are remodelling the "Go To The Market & Buy Some Apples" bag due to its high price of production and unsustainable technological solution. But we're busy bringing it back because our clients loved it. It was recently also referred to in a new children's book, so for me, it's unthinkable that it's not on sale anymore. 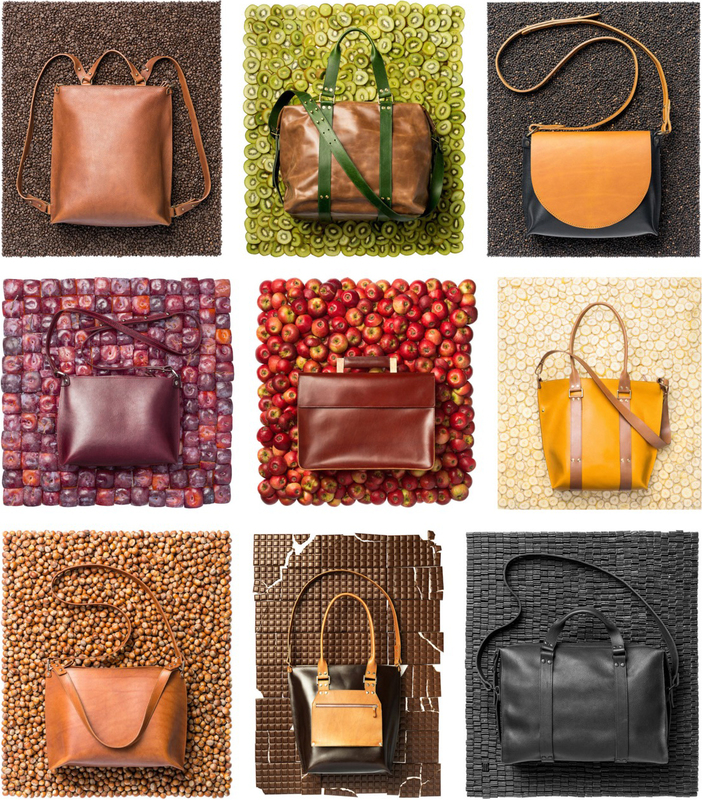 Is leather as a material still being innovated? I mean, it is probably one of the oldest fashion materials out there. Oh, yes, there's a lot of innovation going on with the material. For instance, there are lots of new ways for the surface treatment or coating. I think it's cool if these methods are used to treat the split leather (lower layers cut from leather) but I consider it wrong and unnecessary to treat the beautiful and natural outside (the grain side). It all has to do with the fact that typical marks of wear and tear are not considered aesthetical from the marketing perspective which I find sad. Also, new leather-like materials are being developed. For instance, there are new materials that are made of fungus, pineapple and other natural raw materials. I find it interesting, but instead, I would like to see better developments in making the leather treatment plants more environmentally friendly. I would like to see that leather bags were not considered to be cheap and disposable fast-fashion items. I would take a few steps back and concentrate on these issues first before going crazy about developing and selling the new treatment and coating methods to the fashion industry. What do you like most about working with leather? I like how leather changes over time. It appears to be living its own life — it reacts to sunlight, humidity, wear and tear. 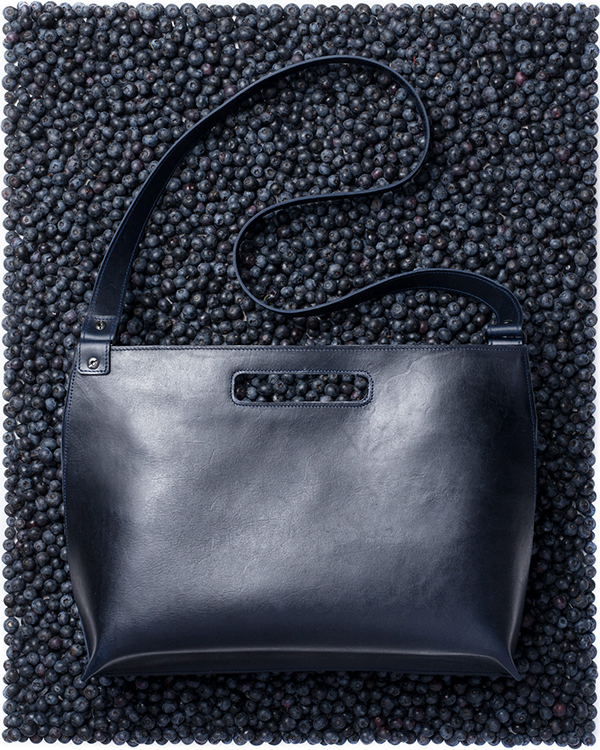 None of the items that are made out of natural leather with natural treatment looks the same after a while. The changing face of the product reflects the lifestyle of its owner. The marks of use have their tale to tell. Is it possible that we're going to see accessories under Stella Soomlais brand that are made of some other material than leather? I'm not saying that I won't be working with some other material one day, but currently, I have still a lot to learn about working with leather. This whole issue of how to use 100% of the material is only starting to unravel before me. It's about good design, proper treatment and also sustainable ways of production. A piece of leather has come a long way before arriving at my table. It's a controversial, expensive and valuable material. I feel that as a designer, entrepreneur and citizen, I must give everything to find ways to utilise its value and potential fully. I noticed on social media that you were recently looking for people to try out your new exciting business concept — handbag rental service. Can you tell me more about it? How is the experiment going? Our idea is to use the material to its fullest. Developing the new service means that we also need to alter the product so that it could be taken care of more easily and it would be easier to fully reuse the material later, to make products out of "old" leather. For a client, it means a smaller one-time commitment regarding money. Also, the bag is always in top-notch condition because treatment is included in the service. It seems that the general public is not yet eagerly ready for this kind of shift in perspective regarding consumer items. However, I already have several clients who wish to start using their handbags in this way. Regarding the development of my brand, I'm constantly thinking about how to be a more responsible designer and entrepreneur. It gives me great pleasure to figure out the new service because it's a great move towards the more sustainable environment. Stella, thank you for your time and exciting interview! Dear reader! I invite you to take a look at Stella's portfolio on her website — www.stellasoomlais.com. If you happen to visit Tallinn, don't hesitate to step into her studio shop at Telliskivi 62, Tallinn.